Very thoughtful piece. I went to sleep thinking about you last night and how this was affecting you and your view of the world. Well done!!! Thank you Ma! No matter what, I’ll continue to trust GOD. I can’t live in fear! Love it!! So true but so sad that like you said you just never know which one fits into the category that would commit to such senseless acts. Until NOW!!! Very powerful!! These senseless acts bring about so many emotions: uncertainty, concern, anger and fear, but you are right, we must keep trusting God and praying without ceasing. A lot of us have been forced to rethink our beliefs and feelings on the police and the power they have. Thank you for sharing and the best of luck to you. I pray that things change, soon! Thank you for reading and the encouragement! Always happy to, and I will pray for change as well. Perhaps your view of “trigger-happy police” would change if you listened to the audio recording that was released today, of an eye witness telling an interviewing cop that Brown continued to attack the cop AFTER the first shot inside the squad car. As if I’m suppose to trust anything released by any of the powers that be in that town? I guess you didn’t hear the recordings where backup was called but not EMS? I guess I should ignore the fact that EMS didn’t pick up Michael Brown’s dead body. A black SUV did. I guess I should ignore the fact that a world renowned forensic pathologist confirmed what we all know. Ok.
You expect me to believe anything coming from the powers that be down there? Good luck with that. I find it interesting that the first shot happened in the car but there was no gun powder on him. I guess we will just ignore the autopsy findings of world renowned pathologist, Dr. Michael Baden. Cool. Every barrel has a few rotten apples just like every police department has a few bad cops. Don’t mistrust them all based on one idiot’s behavior. That’s sorta like what the definition of racism is…judging a group of people negatively based on the behavior of one or two. Thank you for your comment JS. Did you read the whole post? I acknowledged everything you pointed out. However, right now with everything that is going on I’m not as confident in them as I was before. I saw a stat yesterday that said every week last year there were black people killed by white cops at least twice a week. That is scary! Yes I understand your argument and I thought your statements were good and honest. There is imbalance in our country on issues of race, economy, and criminal justice. I just hope people will work together for progress and not pull away from each other. Our country needs leaders not dividers. Thank you JS! I am praying for the same progress. We need more love in this world! I have rarely felt protected by police officers, if I am speaking honestly. More often than not, I feel intimidated when cops are around. That is because “protect and serve” has turned into something that it never should have: money. When I see a cop on the road, I worry about being pulled over for a number of reasons — do I have a burnt out taillight, did my turn signal not work, did I not turn on my headlights, etc.? I never feel safer when a cop is near. That is sad. I couldn’t even imagine being a young, black man right now. That worry would quickly to turn fear. Hopefully one day this beautiful country can move past all of the hate and discrimination, because that is exactly where I believe this stemmed from. Maybe one day…. Thank you so much for sharing your feelings. I pray that there comes a day, very soon, when we all feel safe anytime they are around. Only love can drive out hate. We need more of it! > What happened to Michael Brown was disgusting. Hateful. Sickening. Barbaric. Cruel. Heinous. Yeah, we do not have all the “facts” as of now but we know enough. > We know that a young UNARMED black man was gunned down like a wild animal in the woods. Yes a wild animal weighing 250+ pounds who is charging at you. ‘Unarmed’ is a misleading description of the situation. The cop was armed and the guy was charging the cop. He was in effect charging towards a weapon, presumably with the intent to get hold of that weapon. You do not charge a cop with a gun without murderous intent, because it’s either gonna be you or him who ends up getting shot. He must have understood the cop would try to take him down, even if that means taking him out. That means his only option is to get to that cop first, knock him to the ground, grab his gun and use it to shoot the cop. The cop must have been aware that if the guy charging at him gets to him that is what he will try and do. He will be dead and the guy will then have his gun and a squad car. And nothing to lose, having just murdered a cop in broad daylight. As unfortunate as it was, I don’t understand how the cop had any other option but to shoot the guy under those circumstances. If someone can explain it differently then please put me right. What would YOU do in that situation? If you were the cop would you just let the guy get to you, knock you to the ground and make a bid for your gun? From your words, sounds like you may be a racist. But that aside, you are totally right. The only thing I hate more than cops is violent criminals (mostly cuz cops spend more time harassing folks for traffic stuff than stopping violent criminals). I’m right but I sound like a racist? Ok. Thank you for reading! I was not replying to you; I was replying too Curiosetta, who called him “a wild animal”. Calling him a wild animal sounds pretty racist. But also more evidence and eye witness reports are coming out, including the celebrity autopsy, supporting the cop’s story. Gotcha! I’m sorry! I saw it on my phone so it showed up like you were replying to me. Are you referring to the autopsy Dr. Baden did? Yes. While the one witness whose story was originally reported claimed that Brown was shot from behind, the autopsy showed that all of the shots were from in front. Really, in cases like these, if one person is beat the hell up, that information needs to come out DAY ONE. Haha. It’s ok. I heard something this morning that made sense as far as what the witness said. The shot from the inside of the arm could have happened while he had his back turned. Seems strange that all these reports are coming out almost two weeks later. > From your words, sounds like you may be a racist. What specifically did I say that makes you accuse me of being racist? If you have good reason to make that insinuation then please make your case. Insinuating someone is racist WITHOUT providing a coherent argument to back it up just comes across as slander and character assassination. But hey, prove me wrong by making an argument…. > I was replying too Curiosetta, who called him “a wild animal”. Calling him a wild animal sounds pretty racist. I was just pointing out that this ‘wild animal’ (your words not mine) was, by all accounts, charging at the cop, presumably with the intent to kill the cop. That made him a threat to the cop. Whether the cop was being charged by a 6’4″ white man, a 6’4″ black man, a horse, a lion, a bear or a bull the cop’s life was being threatened and his shooting appears justified for this reason. But feel free to argue it was not if you think I am wrong. Even if I was comparing him to a wild animal for charging the cop, how on earth is that racist?! Are you saying white people can’t also to be likened to wild animals too? Isn’t THAT racist? Yeah, sorry. I should’ve added a winky face or something. Charging at the cop? According to whom? How are you charging at a cop if you are running away from him? Please explain that. As I understand it the evidence indicates that he was running towards the cop. I explained this (with link) in my original comment. I saw how long the video is and immediately closed it. Who is this random guy? Even if he was coming towards him, that does not give him a reason to unload his clip on him. > Who is this random guy? > Even if he was coming towards him, that does not give him a reason to unload his clip on him. Yes it does. The reason is called ‘self defence’. The guy had already attacked the cop moments before. He knows the cop has his gun drawn. He knows cops shoot people who try to attack them. He knew that approaching the cop would mean getting shot. If you can think of any other reasons, let’s hear them. Is he a expert when it comes to speaking on this particular topic? If not, I’ll pass. I’ll pass anyway. I don’t have the time to watch. Seriously :-). I’m sorry but no it does not. The cop was the one who instigated the aggression by yelling profanities at Michael and his friend. How is it self defense if the cop is not being attacked? I still find it interesting that we heard nothing about the cops “bruises” until almost a week after Michael was killed. Please don’t try and tell me this cop couldn’t have just shot Michael in his knee. Or that the four shots in the arms weren’t enough. Ever think that maybe at that point Michael Brown was disoriented? I am sure I probably would be if I was being shot. Repeatedly. OK that’s just being ridiculous. Michael had just committed a violent robbery and was in possession of stolen goods. He then attacked the cop and beat him up. Then then he ran at the cop even though he had his gun drawn. Clearly Michael was the aggressor every step of he way. If you beat up a cop and then charge at him when he has his gun drawn you are going to get shot. Everybody knows this. > Ever think that maybe at that point Michael Brown was disoriented? Quite possibly. Perhaps he was on drugs. We don’t know a this point. Did you ever think the cop’s vision was impaired after having his eye busted up? Ever think he might be a bit tense after getting beaten up in the car and then charged at by an UNARMED man of considerable size giving him split seconds to react? I mean if YOU had a gun drawn on a man who had just beaten you up and he kept coming for you even though you have a gun on him and he does not even have a gun, that would tell you he means business right? So what would you do? Seriously would you wait for him to get to you? No, nobody would just stand there. They would shoot out of self defence. That is why it is such a bad idea to charge at armed cops, or armed robbers, or armed anybody. Really? Wilson didn’t even know about the robbery when he approached Michael. Beat him up? You’re really reaching now. It is clear that you are convinced that an unarmed young black man was justifiably killed in broad daylight. There’s nothing left to discuss. Have a good one! > Really? Wilson didn’t even know about the robbery when he approached Michael. Does that mean that Michael was not acting aggressively when he robbed the store aggressively? Was Michael acting aggressively when he robbed the store, prior to encountering the cop? Yes or no? > Beat him up? You’re really reaching now. Did Michael blow kisses to the cop in the car and give him a foot massage or did he beat him up aggressively? 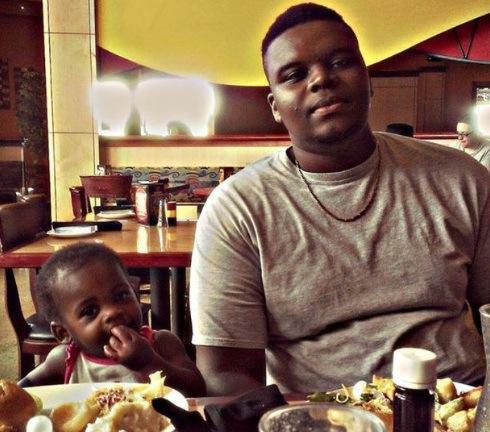 > It is clear that you are convinced that an unarmed young black man was justifiably killed in broad daylight. What matters to the cop more (a) the fact that he is unarmed (b) the fact that he is acting aggressively, is 6’4″ and has just beaten him up in the car and is not charging at him, even though he has his gun drawn? If a man without a gun had just beaten you up, and he was now charging you even though he KNOWS you have a gun would you just stand there or would you shoot to defend yourself? Thank you Harsha! Please continue to visit :-). .Tanveer Husain who has been seen by many in Bedford and nationwide on the popular police series ,police stop’. Caught a man outside a superstore in Bedford putting a bag of stolen meat in some bushes.But when he apprehended the man he not only grabbed him from behind and started to choke him he said ‘If you ever run from me again ill kill you. the man said “I’ve got emphysema i cant breath” . It must be noted that the man did not make any attempt to run from Mr Husain as he is barely able to make walk fast because of his trouble with his lungs. have to put up with police brutality or bullying , ok so the man stole some meat worth around $20.00 but suffering such a condition as emphysema and being choked from behind to the point of being lifted off of the ground and being told if he runs again (which he didn’t in the first place ) I’ll kill you is absolutely absurd and disgusting . The police are here to protect the innocent and keep people and places a safe haven. They are not her to threaten bully intimidate and hurt those they arrest . Agreed if the shoplifter was one of England’s most wanted villains or he was a violent menace to society id say the policeman involved used necessary force to apprehend him but truth is . More and more people are complaining about police treatment in Bedford why should we have to put up with this police state mentality ? I’m not picking on or making harassment claims against Mr Husain this is just a story like a lot of other stories i hear about police mistreatment . Something needs to be done and said and someone needs to stand up and say it. I’m claiming responsibility for this and i will stand up against the big brother culture that we as human beings are being subjected to . and women in uniforms abuse their powers . If in America you don’t feel protected, pay me a visit in Romania! The police men are like some monkeys imported from Zimbabwe, the only difference is the gun and the uniform which they wear! We all know that sentence: F**k the police! I know that there are countries that have it much worse. I pray that it gets better over there! It’s sad that some abuse their power to intimidate or harm others. Is there no action that can be taken against them over there? Or is the government protecting them? Yes, the only action I would take for me, is that if I could had a chance to relocate in another country, with more educated people and a higher standard of living, I’ll do it. I think that the real problem here it’s the communist-depressive mentality which most of the people still have it (speaking of the elders). Anyway, to help you making a point, it’s too far to say that the government is protecting these baboons, like in Mexico (sorry if there are mexicans around here, it’s a fact and it’s real), but they are making abuse of power only to feel more bad asses. Truth! We cannot trust those in charge to do what is right. You said yourself that you had met many wonderful police officers who had done many kinds acts and had what i can only deem as “integrity from the way you described them. This thing that had happened to this young man is nothing less than a travesty. Having said that…you can not judge the group based on the actions of the individual. One neglectful babysitter dies not mean all babysitters are bad. One negligent doctor shouldn’t keep you from seeing a good attentive doctor. Think about what you do for a living. Do you know anyone else that does the same thing… poorly? Does that mean everyone should be afraid of you? Pray. Give your fear to God. Have strength in the Lord and don’t let other people’s actions change who you are. I understand about the new phone :-). Thank you for your feedback! I really appreciate it! I acknowledged everything you said in my initial post. Having the fear is not a good feeling because I know all cops aren’t bad cops. I believe most of them are good cops. I said that. To say that they all over would be a stereotype. However, right now, it still doesn’t do much to put me at ease when this keeps happening over and over and over. All I know to do is pray and ask GOD to remove the fear. That is the only way I will get over it. Other’s actions will never change who I am. I will always be true to me. Thank you for that scripture as well! Thank you Ashley! I am working on it because I know GOD has not given me the spirit of fear. Great thought and beautifully written ..
As my mother is a retired police officer, I have never been afraid of the police, and I’m still not afraid. However, I am afraid that my son will grow up and be profiled and ultimately shot by the police. I am afraid that my husband will say something smart to the cops and end up shot. On the other hand, who do we call when we are in trouble? This world is so backwards! Thank you for your comment and feedback! All we can do is pray and work on the lines of communication. This is the most powerful piece on the subject of police misuse of power I have ever read. I wish everyone could read it, especially our young men and women, regardless of race. Your words hold a deeper meaning than just a warning for young black men, yes, it’s that, but much more. I feel a message of hope as the center of your writing. Hope, that the beginning of the end of these senseless killings is the realization that these were human beings with a life filled with hope, only to be snuffed out by someone that in many ways only viewed them as targets. Outstanding post, I will never forget this. Thank you. Wow. Thank you for reading and your feedback! I am humbled to know that my words are conveying such a message. Please feel free to share it with others! I hope blogs such as mine and others can bring about some change. Thank you for reading and reblogging!! This is brilliantly written to make the reader not only think about what is being said but also to balance the negativity of such a sad event with the positivity of what is also done on a daily basis by police officers. Quite balanced and thought provoking. Wow! Thank you so much for your feedback. I continue to be humbled by how well my piece of work is being received. I pray that it promotes healthy dialogue so we can figure out how to combat this issue. Wow. Thank you for reading and your encouraging words regarding my work. I hope that pieces like this will lead to discussions about what is plaguing us in our country.